Cable TV and DIRECTV can’t match the programming choices DISH offers in North Carolina. You’ll be able to catch all the latest network shows, such as 60 Minutes and Shark Tank, as well as local channels like NBC and FOX. That’s right–you can get primetime network programming without having to give up your local North Carolina stations! With certain DISH packages, you even get access to premium networks like Showtime® FREE for the first 3 months of your service. Believe it or not, there are even more great perks available with a DISH Network plan! 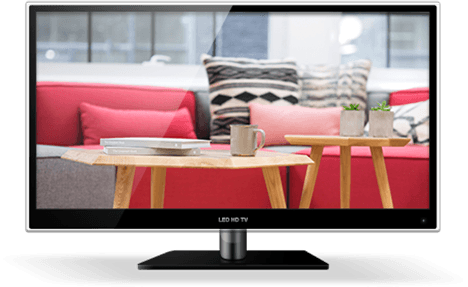 Sign up for a qualifying package and you’ll also be able to enjoy crystal-clear picture quality for no additional charge with DISH’s HD FREE for Life®. 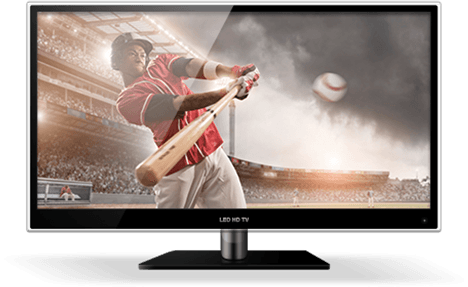 Looking for Premiere Satellite TV in North Carolina? Get DISH! DISH can bring you both quick Internet and a wide selection of entertainment in North Carolina. 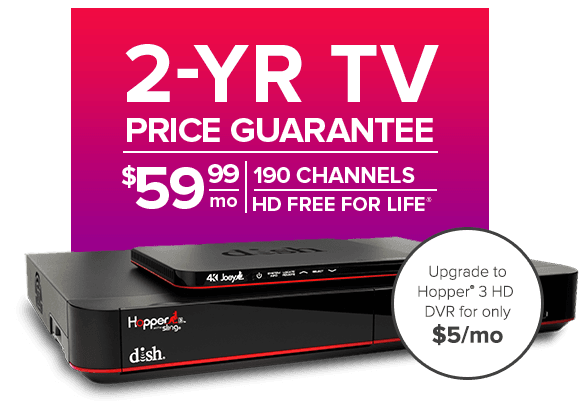 In addition to offering quick, dependable satellite Internet service, DISH also offers satellite TV service with HD-quality visuals and a connection that won’t fail when the cable in your neighborhood goes down. Even customers in rural areas can enjoy fast, high-quality DISH connections, as DISH services are delivered directly via satellite, not cable. DISH Satellite Television also offers a variety of affordable packages, making it easy to get satellite TV in your home without straining your budget. State-of-the-art technology from DISH gives you the power to watch TV both from the comfort of your home and while you’re out and about. The Hopper® 3 Smart DVR makes it easier than ever to record your favorite shows, and the DISH Anywhere™ app gives you the ability to schedule your DVR remotely, and watch live and recorded shows on your wireless devices. That means you can watch The Voice without missing a scene if you decide to move from the bedroom to the kitchen. DISH will even install your services for FREE in up to 6 rooms, and customers in select areas of North Carolina can get next day installation as well. So give us a call now to find out more about the DISH packages being offered in your area of North Carolina! A good TV provider should give you a wide selection of entertainment options and the control you need to watch movies, TV shows, and sporting events on your own time. With DISH’s innovative Hopper® 3 Smart DVR, the control is in your hands. This industry-leading DVR has a long list of benefits, including enough storage space for up to 500 hours of HD content and the ability to record 16 shows at a time. It also comes with a convenient “Sports Bar Mode” feature, which lets you watch 4 games at a time on one screen, and it gives you the ability to skip commercials when you’re watching primetime content you’ve previously recorded. The Genie® DVR from DIRECTV® doesn’t offer nearly as many convenient features, can only record 5 shows at a time, and can only store 200 hours of HD content. Plus, DISH offers extra perks, like the DISH Anywhere™ app, which gives you access to 100% of your live channels and recorded programming on your mobile device. DIRECTV’s streaming app only lets you watch recorded content. So if you want to get more from your TV service, choose DISH satellite TV for your North Carolina home. If you’re a Duke Blue Devils, North Carolina Tar Heels, or Charlotte Hornets fan, DISH in North Carolina can deliver all of the sports action you crave. DISH Network is your season ticket to coverage of all your North Carolina household’s favorite Tar Heel State teams–whether their games are broadcast on a national network or a local North Carolina station. For those who breathe, sleep, and dream football, DISH’s Multi-Sport Pack offers premium game coverage with NFL RedZone. With the extensive pro football coverage you get with this package, you’ll forget you’re watching the game from the comfort of your own home and not from Bank of America Stadium as you cheer for Cam Newton and the Carolina Panthers every week. So give us a call today to make sure you’re a part of the action with DISH! 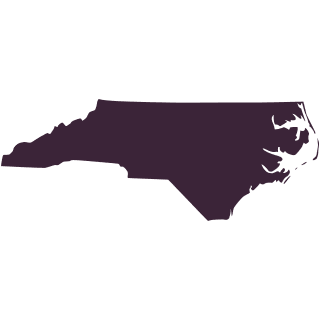 Looking for DISH TV Near North Carolina? The installation team did a fantastic job! Without their hard work we wouldn't be watching Dish today. Their installation of both the TV and Internet dishes was not easy but they stayed until it was perfectly installed and working. FYI your competition came out a few days prior and said he couldn't install the dish because of the mountains and trees. :)). Very happy! We have had service for 1 week now and it has been excellent. Still learning the system but everything we are watching has a great picture and my wife has her DIY channel back. My grandchildren love Disney, Nick and the movies. The Dish app. is loaded on tablets and I phones so when we travel we can watch our favorite programs.